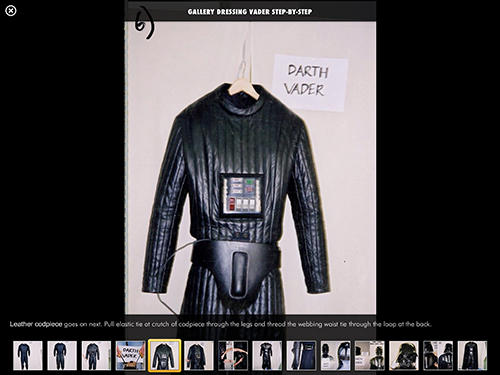 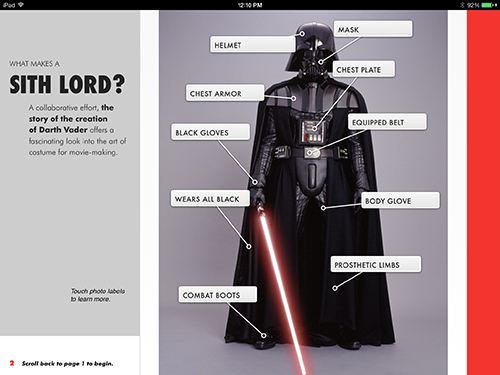 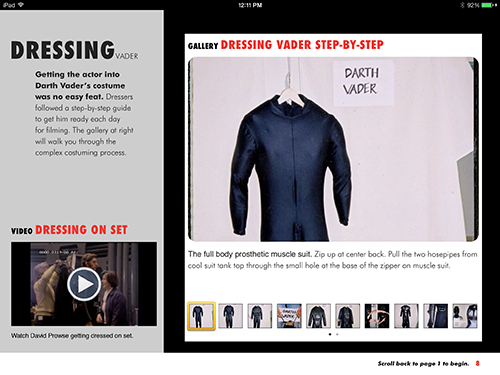 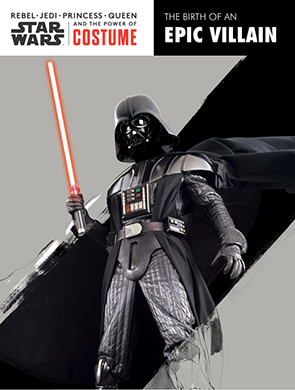 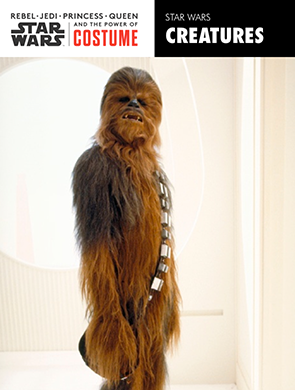 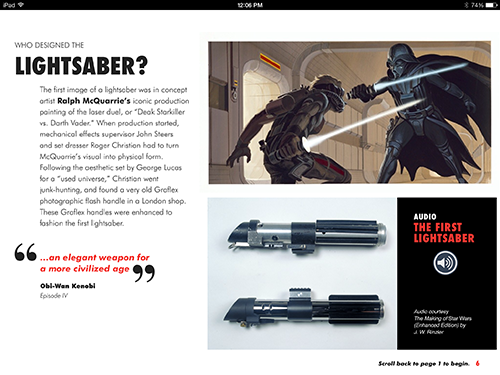 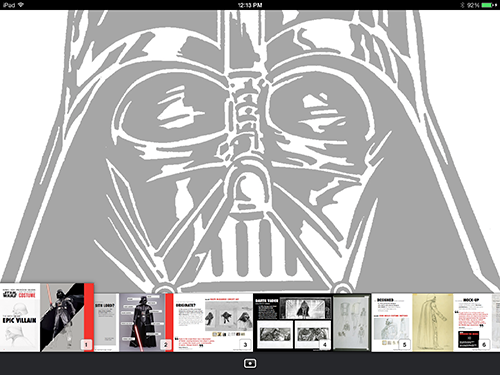 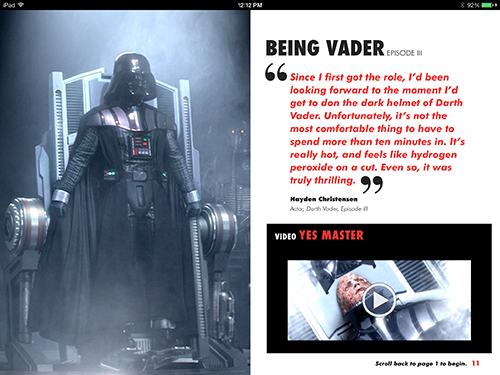 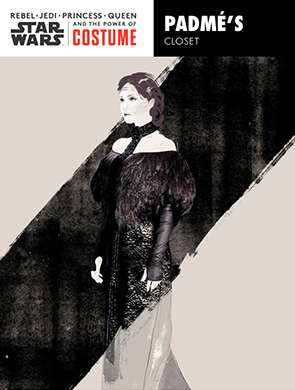 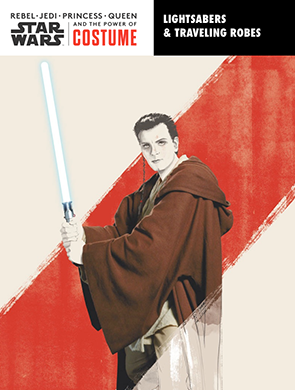 Smithsonian Traveling Exhibition Service: Star Wars and the Power of Costume interactive iBooks. 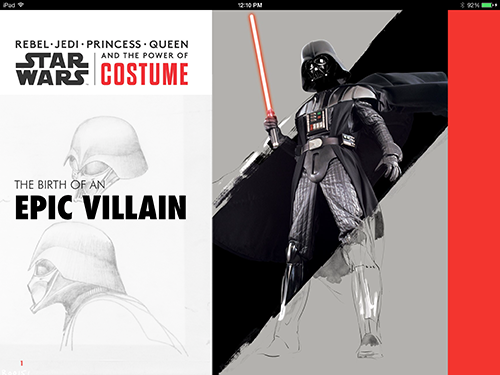 A series of four multi-touch iBooks designed and produced to permanently reside in a major exhibition in partnership with Lucas Films. 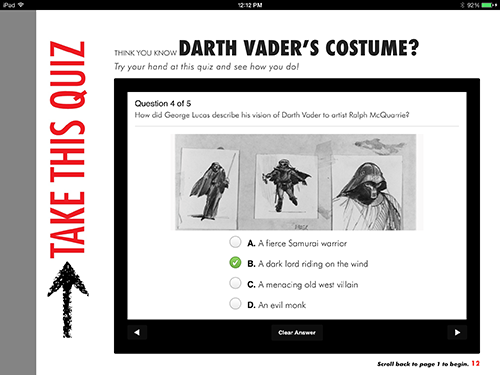 Each image-rich iBook contains interactive galleries, pop-up images, audio, video, scrolling sidebar content, and a quiz. 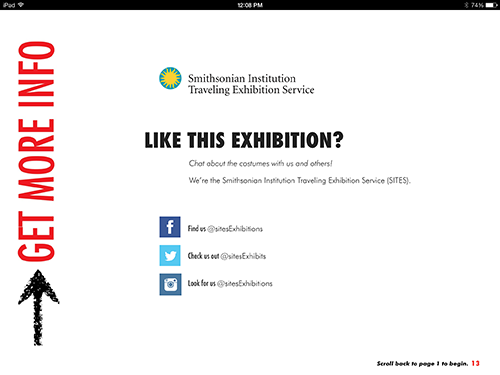 Content delivered via iPad maximizes valuable exhibition space and enriches the museum-goers' experience. 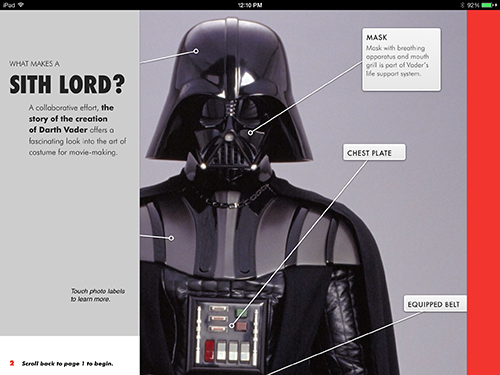 Please email designfarm to request access to sample iBooks.